CBS has ordered a second season of fall drama God Friended Me, which currently occupies the Sunday at 8 PM slot. The series isn't a huge hit, but it has been a respectable performer for the network and it has typically matched or exceeded its 60 Minutes lead-in on nights without NFL help. The series stars Brandon Micheal Hall as a man who was sent a Facebook friend request by an account calling itself "God," which sends Hall's character on various quests to assist those in need. 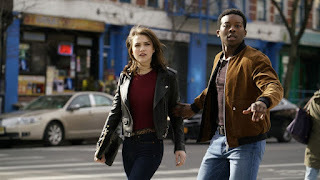 The series also features Violett Beane and Joe Morton in starring roles. With previous renewals of Magnum PI and FBI, this renewal makes for a clean sweep of renewals for CBS fall dramas. Averaging a 1.0, this was a correct prediction for The TV Ratings Guide. What do you think of this news? Are you planning on tuning in for season two of God Friended Me? Let us know in the comments below!